One of my favorite topics! 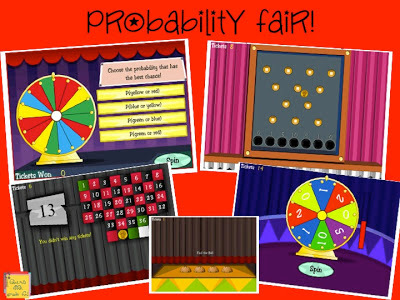 We've had fun the last couple of weeks with probability. I placed different probability scenarios around the room. 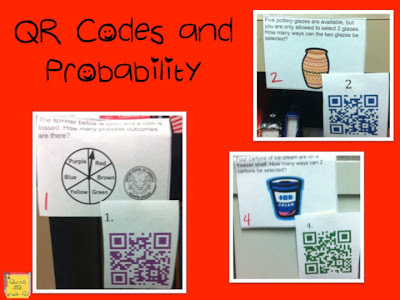 Students wandered around working the problems and then used their smart phones to check answers. 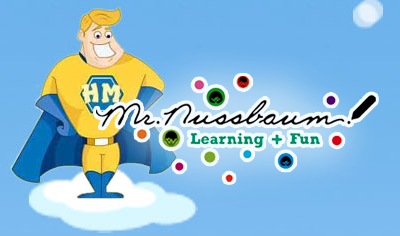 Then, I found Mr. Nussbaum's Probability Fair! 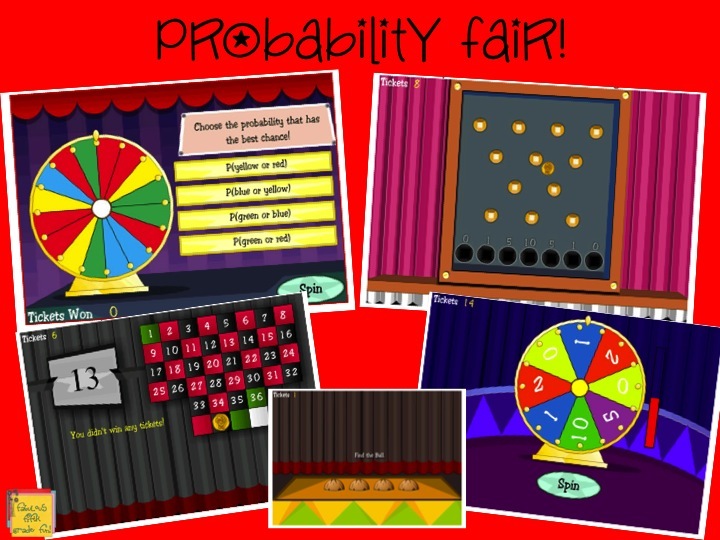 There are 5 different carnival games related to probability. At first I just let my students explore. Then, we talked about the math behind the games. What is the probability that you will get a 10 on the Plinko game? person advise about going to the carnival. 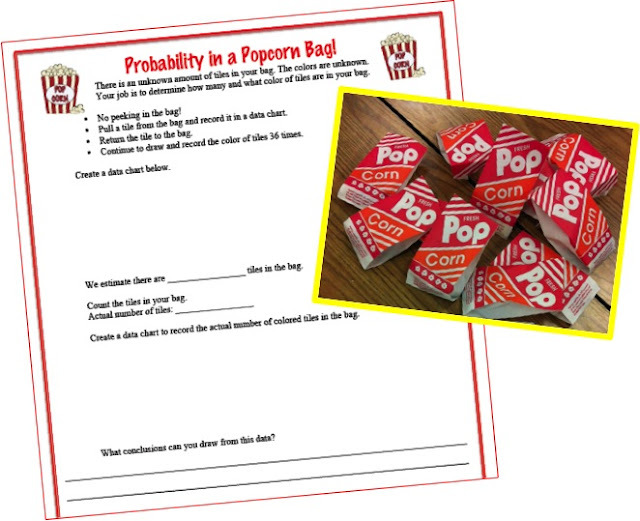 Continuing with the carnival theme, I paired students up and gave them a popcorn bag. Ok, it wasn't popcorn, it was colored tiles. They were a bit disappointed, but got over it. Probability in a popcorn bag! Diane from Fifth in the Middle has a cute linky going on at her blog. Link up by state! 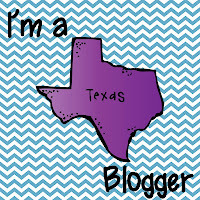 Find your state, link up and find other bloggers from your state! She created these really cute graphics for each state so we all know who is where! Yeah! 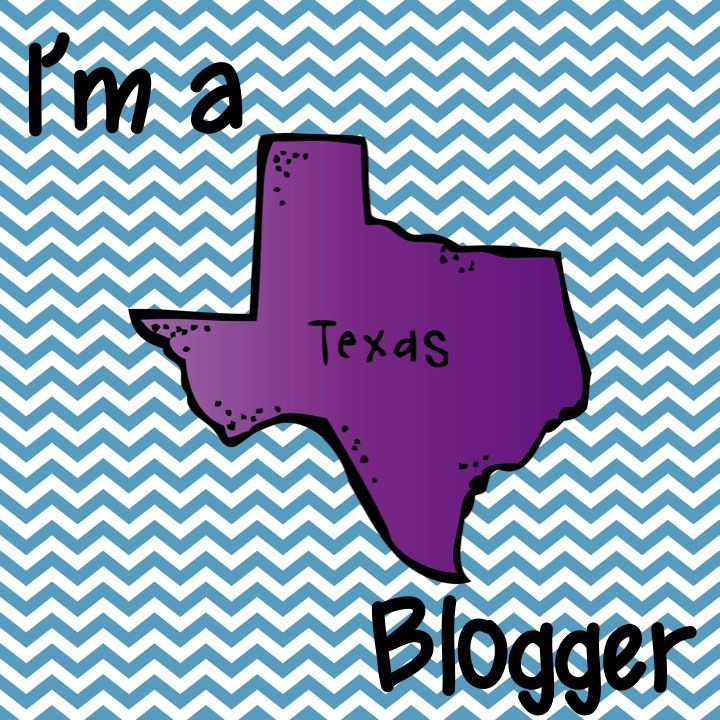 Another Texas blogger and fifth grade! Now following you! Love the ideas on your blog. Hi! I found you on the Blogs by State too & I'm your newest follower! Love your blog! I'm your newest follower! Super cute blog! Science, my favorite! What fun to teach all science!